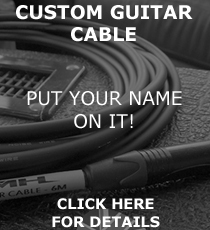 Cable: All cables/leads are made to order. We aim to make and dispatch same day as ordering but please allow 1-3 days for dispatch. Pedals, ie Switching, B,I,S Box, OD etc: All Products are made to order. We aim to dispatch 1-3 days from ordering but can take up to 7 days. Delivery is calculated by the weight of your order at the checkout. Royal Mail Special Delivery (guaranteed by Saturday 1pm) Orders must be placed by 3pm (subject to availability). Royal Mail Special Delivery (guaranteed by 1pm Monday to Friday) Orders must be placed by 3pm (subject to availability). Royal Mail 1st Class Recorded Delivery (tracked and signed for) usually delivered 1 day from dispatch. Royal Mail 2nd Class Recorded Delivery (tracked and signed for) usually delivered 1-3 day from dispatch. If your country isn’t listed at the checkout please contact us with the product you would like to order and where you would like it to be shipped and we can give you a quote. 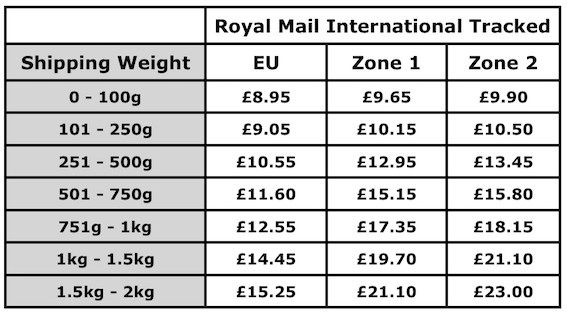 Please note that Mike Hill Services is not responsible for import duty and/or taxes when applicable (for non UK and EU countries) and for any delay due to customs.